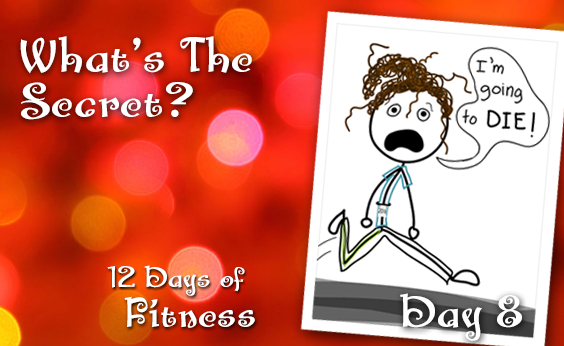 Today’s 12 Days of Fitness is someone you will really enjoy. 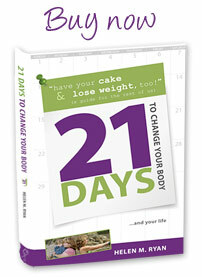 I “met” Julie during my virtual book tour when she did a super cute review of my book. I fell in love with her drawings and her message. Julie’s blog “Tri-ing to Be Athletic” is inspiring, fun and mostly…an honest view of what it takes to “tri” to be athletic. For those of us “nonathlete athletes”…I bring you JULIE ERDMANN. Does your foot start tapping when you hear a good song? Start dancing in your living room. Maybe clear some furniture first. And, uh, close the blinds. If you’re feeling good but want some group motivation, find a dance studio in your area that offers adult classes, or join a Zumba, hula, or belly-dancing class! The thing that got me started was signing up for a triathlon. That sounds crazy, right? and run because of them. I started out *just running*. And that was enough. Once I got comfortable with that, I moved on to learning *how* to run. I started finding more people who ran heaven forbid I called myself a runner and learned that the pain in my hips, feet, etc… could be fixed with special exercises and some physical therapy. And in the process I discovered that I love running! I used to absolutely hate it, but having a goal to work toward allowed me to push past the discomfort and find a passion I didn’t know existed. I found some training plans online, and my friend got me a subscription to Runner’s World. At first, I stuck to half marathons. They were difficult, but a challenge I could manage. I was amongst the slowest finishers for the first few years, and have moved my way up to the middle of the pack (sometimes)! A couple of years ago I let myself get talked into signing up for a marathon. I really wanted to do it. But I injured myself on my very first training run and needed MONTHS of rehab. What I love about running is that you have the option of running with a group, just one friend, or just with your thoughts. Running has made me a stronger person, not just physically, but mentally. After all, you have to be tough to run a marathon! Don’t sweat the details (get it? “sweat”??) Ahem. Just start! 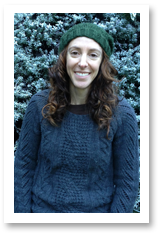 Julie is an uncoordinated athlete who blogs at tri-ingtobeathletic.com. She started exercising in her mid-30s, discovering that it is never too late to learn new skills! She runs half marathons, has completed one marathon to date, and competes in sprint triathlons every summer. You’re now adding lipstick and eyelashes to your drawings? Your talent knows no limit! KymberlyFunFitI wish! These were done by the fabulous Julie Erdmann or Tri-ing to Be Athletic. 🙂 She is awesome-blossom. each second of this precious life! Triathleton, YOU CRAZY PERSON! ha ha!!! But hey, I love you for it! Oh and SO FUNNY about the dancing in the living room and having to close the blinds – I remember I would sit out side my friend’s apartment every Sunday morning and I would always see this chick… Basically do a chicken dance in her living room… I think she caught on that I found it was pretty amusing so…. She started to close the blinds! AH ha ha ha! BUT HEY – At least she was moving her booty!